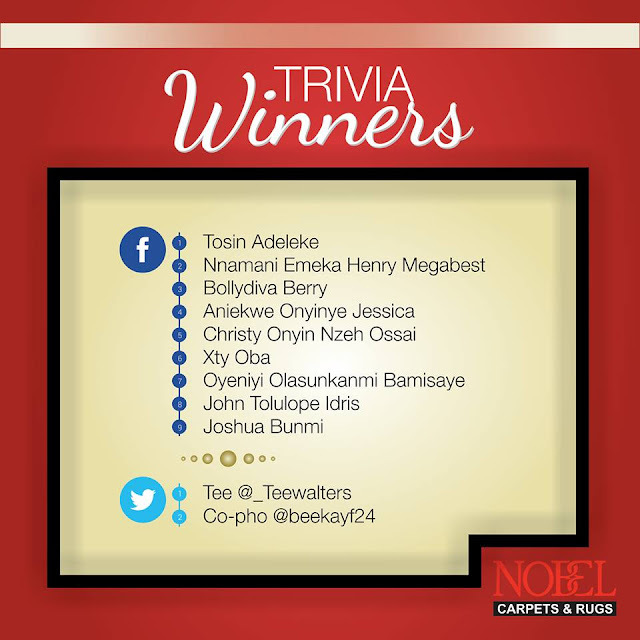 The winner of yesterday’s #TopUpTuesday is Elizabeth Ogbonnaya. Congratulations! Join the #YUStyle competition currently running on our Instagram page @yudalaonline. Also, stay tuned for more exciting contests coming your way on this page. Wishing YU Yudala!" "Saturday’s AFCON 2017 qualifier was kind of disappointing for most Nigerians as the Super eagles of Nigeria led by Sunday Oliseh in his first match as the national coach ended in a goalless draw against the Taifa Stars of Tanzania. 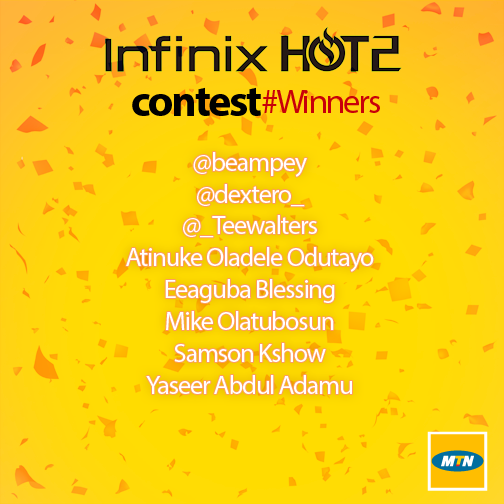 The fastest finger to predict the scoreline right and the winner of last week predict and win is Olawumi Akinlabi. Congratulatons! Guys,join the #YUDance #YUSing and #YUStylecompetitions going on at our Instagram page @yudalaonline "
"Congratulations to Jeremiah Adebisi who won himself a SAMSUNG Galaxy K Zoom by sharing the recipes on the Benny website. You can also win 1 of 50 Samsung devices! Simply visit the Benny Nigeria mobi site & share any of our delicious recipes! http://lnq.in/bennyfb"
"Congratulations to @Ugo Anthony for being our 2000th fan. He won a brand new Surge 5,200mAh power bank. Congratulations." "Congratulations to all the winners from last week's#9jaYouandMe Easystarter SpotandWin challenge. Follow #9jaYouandMe on twitter and Instagram to join the conversation and a chance to win exciting prizes." 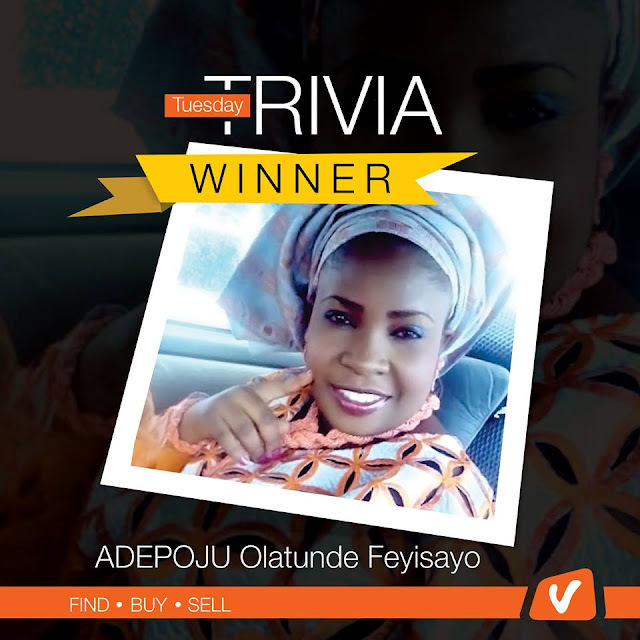 "Congratulations to our lucky winner of the#triviatuesday contest! Send us your details to redeem your prize.#vconnect #findbuysell"